Houston-Galveston Area Council’s (H-GAC) Cooperative Purchasing Program, known as HGACBuy, was established to allow local governments and select non-profits to utilize contracts that have been subjected to a competitive bid or competitive proposal process. End users are comprised of state agencies, counties, municipalities, and non-profit corporations providing services to the government. HGACBuy is a nationwide government procurement service that has been in business for over 40 years. Most agencies can purchase off of the contracts, and many are already taking advantage of the benefits of being able to do so. Eliminating the need to go through an RFP since the contract has already been through a competitive bid process. Providing expedited procurement and fast tracking for your project. Streamlining the process, saving time and energy. Providing competitive prices often resulting in savings of 3-5%. Is My Agency Already Signed Up with HGACBuy? Once you click on the link, scroll to the middle of the page to select a state from the dropdown. Select the appropriate state. End users that already signed up will show in the populated list. If your agency is already signed up as an end user, congratulations! You are good to go. If your agency isn’t currently set up as an end user, don’t worry. It’s easy to get signed up, and it only takes a few days! From here, click on the Interlocal Contract Form. Complete the editable PDF form, and send two copies to the HGAC address provided. The turnaround time for being added to the program is usually fairly short, sometimes just a few days. There is no cost to the end user to enroll in HGACBuy, and there is no need to renew annually. With so many obvious benefits, why wouldn’t you take advantage of HGACBuy? 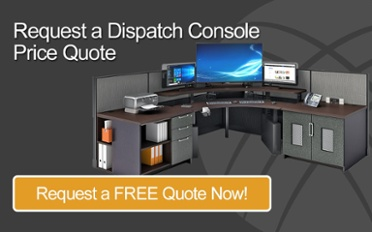 Purchasing new dispatch console furniture should be a time filled with excitement, but those feelings are often overshadowed by the frustrating purchasing process. HGACBuy makes the process less stressful and more affordable, and it often also speeds up the completion of the project. What do you have to lose?